Weekend Deal: Small Angelic Box on Sale! Starting from today and up to 23.59 GMT 24 February Premium Store will offer you Small Angelic Boxes! 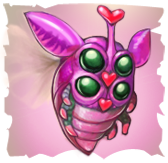 Elgore server will be offline for 1 hour on February 21 starting at 2 AM PST (10 AM GMT/UTC). You can contact us during the downtime Facebook or Twitter. The Treasury announces a Deal: from now up to 15 February special angelic goods are on sale. Do not miss the deal! Elgore server will be offline for 2 hours on February 7 starting at 2 AM PST (10 AM GMT/UTC). St. Vallen's Day has come, Loving Hearts Festival! Meet Love Arrows, magic Chocolate Candies, unique items and generous gifts that Goddess of Love herself sends to her devoted followers! The event starts at 12:00 GMT/UTC February 7 and come to end at 10.00 GMT/UTC February 21. St. Vallen has blessed all of you - so give Love and receive the Gifts! Open your Heart to Love and your Backpack to Gifts! Learn about amazing features of St. Vallen's Festival at our forum. Starting from 00:00 2 February and up to 23.59 GMT 3 February Premium Store will offer you 50% discount on all Golden Transmutation Cards and Elemental Cards. Elgore server will be offline for an hour on January 31 starting at 2 AM PST (10 AM GMT/UTC).